India based handset brand Intex takes the credit of launching the first Smartphone running on Firefox OS in Indian market. The company names it Cloud FX and the introductory price is Rs.1,999. For now the phone is exclusively available on Snapdeal.com. Currently only Black and White colors of the handset are out there. The handset comes with Dual sim and supports multiple Indian native languages like Hindi, Bangla, Tamil, Punjabi and many more. On the connectivity front the handset can be said very rich. It has Bluetooth and Edge. While the phone only supports 3G’ it also has Wi-Fi. So it’s more of a smartphone in the cost of a feature phone. While addressing Media in a press conference Dr. Li Gong, President of Mozilla, said, "We are excited that Intex Cloud FX is now selling in the market, being the first Firefox OS device available in India and Asia. The positive consumer feedback from other markets tells that people like the unique user experience and openness we're building with Firefox OS. With the support from Intex, Firefox OS Smartphones in ultra-low-cost category will redefine the entry-level Smartphones segment, which attract people to transfer from featured phones to Smartphones. 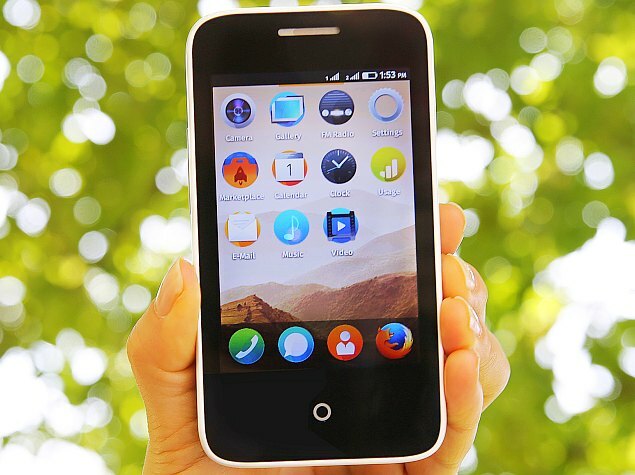 Having a stronghold as Intex, we believe Firefox OS devices are going to create another momentum in Asia."